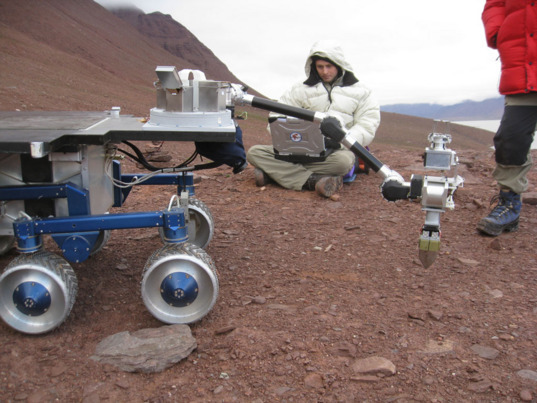 During AMASE 2009, the expedition's goals were to integrate and test two new instruments for NASA's Mars Science Laboratory rover and four for ESA's ExoMars rover using the FIDO (Field Integrated Design and Operations) rover from the Jet Propulsion Laboratory as an advanced mobility platform, as well as test protocols for the future Mars Sample Return mission. 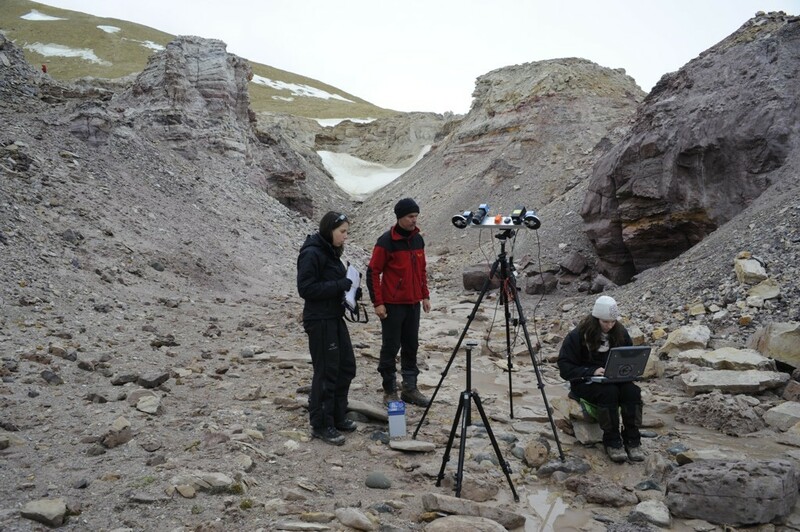 We received updates from Juan Rodriguez-Blanco, a postdoctoral researcher from the Earth Surface Sciences Institute, University of Leeds, and also from Adrienne Kish, a postdoctoral researcher at the Carnegie Institution of Washington Geophysical Laboratory. October 6: Searching for Martian life…on Earth. And farewell, Svalbard! 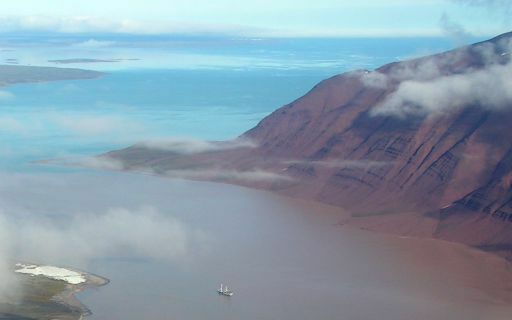 From August 1 to 24, 2009 AMASE (the Arctic Mars Analog Svalbard Expedition) will be taking place in Svalbard (Norway, 76-81° N). This expedition involves different researchers from the Carnegie Institution of Washington, NASA/JPL, ESA, Cornell University, the Earth and Planetary Exploration Services (Norway), DLR (Germany), the University of Valladolid (Spain) and the University of Leeds (UK). AMASE has established Svalbard as a test bed for life-detection technology to fly on future NASA and ESA 'Search for Life' missions to Mars (such as Mars Science Laboratory and ExoMars). These expeditions have run since 2003 and are managed by Hans E.F. Amundsen (EPX, Norway), Andrew Steele and Marilyn Fogel (Carnegie Institution of Washington), Pamela Conrad (JPL) and Liane G. Benning (University of Leeds). This year it will include more than 30 scientists and engineers from different disciplines (microbiology, geology, biogeochemistry, robotics, etc.) 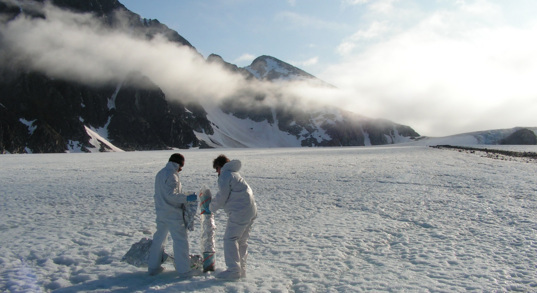 carrying out very different activities: from testing equipment that eventually would fly in future Mars missions, to studying the conditions in which extremophiles thrive in glacial ice, and developing and testing protocols to search for past and present habitable environments on icy planets. All of this is work that needs to be done before sending the next new generation of landers and rovers over the next few decades. So far six AMASE expeditions have been carried out, testing different instruments that will fly aboard future Mars landers and also performing the procedures to detect signs of microbial life or organics in the subsurface of the Red Planet. The main goals for AMASE this year are to integrate and test two new instruments for the Mars Science Laboratory and four for the ExoMars mission using the FIDO (Field Integrated Design and Operations) rover from NASA/JPL as an advanced mobility platform, as well as test protocols for the future Mars Sample Return mission. The main research will be carried out in Bockkfjorden, Murchison Fjord and Wallenbergfjord, which are rich in carbonates, clays, basalts or water-ice that are considered good Martian analogues. The interest in combining the new instrumentation and the field work in these areas is not only for life-search testing procedures, but also for the different teams to work together, enhancing the integration between scientists from different institutions, fields and backgrounds that will work with a variety of instruments. Also an important goal is to improve the way the instruments will give us the information we need: an absolutely fundamental requisite to study samples on Mars or return them to the Earth is to use completely clean and sterile instruments, not only to avoid detecting a life-signal that could actually have come from our own planet but also to avoid that microbiological contamination of Mars or any other planetary body in our Solar System. Dr. Juan Diego Rodriguez-Blanco, a Marie-Curie postdoctoral researcher that is working at the 'Earth Surface Sciences Institute' (ESSI), School of Earth and Environment (University of Leeds, United Kingdom), is participating as a mineralogist and -- among many other things -- he has decided to write of a daily blog with news and information, giving his personal vision of the research that will be being carried out during AMASE 2009. This is my first post to the blog about AMASE 2009. I am writing it from the Spitzbergen Guest house, a nice little accommodation place located in Nybyen at the southeast end of Longyearbyen (Svalbard), the place where part of the members of the AMASE expedition are staying before flying to Ny-Alesund today. I am writing this blog while lying on bed because I am very tired...after a full week of work... however, the start of this trip could not have been better. From the window of my room I can see some mountains and the front of a glacier. It is 11 pm and it is sunny but with high clouds. The landcape is strange, quite evocative: big mountains, ice, old mining settlements -- almost all of them abandoned -- next to a place where the population is about five hundred people and you have to take a rifle with you if you go outside the town in case you need to defend against polar bears. It has been a very long day and a very long trip. Liane Benning, one of the AMASE managers and my boss at the University of Leeds, and I came here by plane from Heathrow via Stavanger, Oslo, and Tromso and finally arrived at Longyearbyen after almost one day flying and only a little bit of sleeping. In fact we didn't come directly from our homes, but from the Diamond Synchrotron in Oxfordshire (UK), where we were working five days and nights carrying out experiments to understand the formation of calcium carbonates, minerals that are very important in biomineralization processes. But now we are here and we will have a couple of more relaxed days to prepare for AMASE before joining everybody and starting our work. Svalbard is amazing from the air. When we were approaching it by plane we could see the impressive mountains, glaciers and lakes partially covered by clouds. Sometimes it seems to be like the surface of another world. However, it is not so far away today if we consider that we only needed one day of travel to get here. A couple of years ago I read a very good book written by Fridtjof Nansen, a Norwegian explorer who commanded a scientific expedition to the Arctic between 1893 and 1896 and reached latitude 84°N, following a route that went through Svalbard. He described the beauty of this landscape, the long polar nights only illuminated by the Moon and the northern lights, the impressive mountains, the loneliness and strangeness of the regions they visited. Today, more than one century later, we can travel to Svalbard by plane while reading a book and drinking a Coke. However, that does not mean that Svalbard has changed: it is still cold, isolated, beautiful and strange as it was a century ago. We simply have used science to develop methods to travel faster and more comfortable. Our goals are further away, the landscapes that we would like to visit, explore and understand are now also away from Earth on other planets. One of them is planet Mars. I have come to Svalbard to join the AMASE expedition: a group of really great scientists and engineers that have the same spirit as Fridtjof Nansen and are here to carry out the first steps towards the advanced exploration of planet Mars. Over the years human kind have sent orbiters and landers to the Red Planet to understand its origin and evolution, to obtain information about its geology and climate but also to try to answer the question about the possible occurrence of life. In fact nowadays we have the technology to go to Mars, both via unmanned and manned missions and although not easy this is nowadays not impossible: we only need some time and interdisciplinary collaboration. Today we know that liquid water existed on Mars millions of years ago. We have located very interesting candidate areas to look for present or past microbial life using orbiters that read the spectroscopic signatures of carbonates and other minerals and water. We have explored regions where water was present in past times, using rovers that have travelled kilometers while obtaining enormous amounts of data. But we don't know at all if microbial life developed or even exists nowadays on our neighbour planet. This question remains unanswered and AMASE expedition is going to be crucial to answer it. AMASE has the objective of learning how to search for life on Mars and how to develop and test the appropriate technology to do so. We just need a place that can be considered a good martian analogue, and Svalbard is one of the best ones in the world. Here we will test equipment that will fly in future Mars missions, especially on board of the Mars Science Laboratory (NASA) and ExoMars (ESA) rovers. 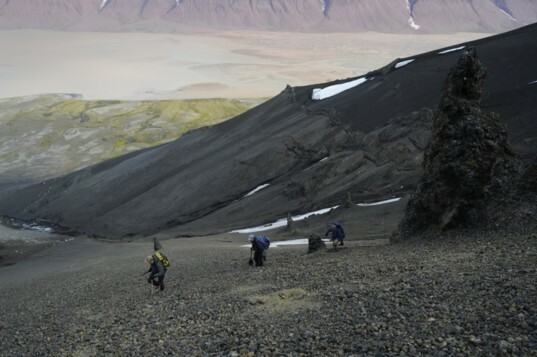 Obviously there is life in Svalbard, but in some areas the conditions are so harsh that only extremophiles can thrive in on basaltic, carbonate-rich rocks or in glacial ice, a picture that could be similar to equatorial martian basalts or the icy regions of the Red Planet. If we want to search for life on Mars we need to develop and test protocols to find past and present habitable environments and to avoid biological contamination that could arrive to Mars from our planet or could come back from Mars to us in any Mars Sample return Mission. AMASE is developing the systems to search for life and prevent contaminations. In fact, all this research is not only focused on that planet, but also in any other icy planetary bodies that could potentially harbor microbial life, like Europa, Titan or Enceladus. During the next days I will start posting blog entries explaining how the expedition is going on, what we do, how we work and why we do what we do on AMASE. I will try to give you a vision of the research we are carrying out and the big picture we learn from it. Stay tuned and join the trip with us. You will not find any other inhabited place if you move north. This is the most septentrional settlement of the world. If you want to obtain the cleanest samples in glacier ice, you have to be appropriately dressed for the occasion! No biological contamination can occur during the sample handling, so all precautions have to be taken. From left to right: Adrienne Kish, Jennifer Eigenbrode, Juan Diego Rodriguez-Blanco (coring) and Liane Benning having fun during a short break. In the last days things have moved ahead in AMASE. Very busy days doing science. The Sun never sets and there are always plenty of things to do! Some of the members of the expedition were working in Longyearbyen packing scientific equipment in the Lance -- the ship where we will live over the following days -- before departing. Now they are in Bockfjorden doing great research with the Athena rover, while we are working hard in Ny-Alesund. Bockfjorden is an amazing fjord system that stretches towards several mountain ridges of different geological ages. There are alpine summits of old granite rocks, Devonian red sandstones, three volcanic cones, hot springs and large glacier fronts that reach the sea. Ny-Alesund is a very nice place. It is an old mining area transformed today into a scientific settlement, where the Norwegian Polar Institute is located and many of the houses are in fact laboratories. However, do not think that Ny-Alesund is a technological centre! It is just a few houses where scientists work studying topics related to marine biology, atmospheric physics or geology, and in fact it is the most septentrional permanently inhabited settlement of our planet. From here the sights are overwhelming: high mountains with glaciers everywhere and icebergs in a strange and silent land where sometimes you can see deer, foxes and birds. The first thing I needed to do in Ny-Alesund was rifle shooting training. Apart from the deer, foxes and birds there are some animals that sometimes can be very unfriendly: polar bears. And in Svalbard you are not allowed to go to the field if you don't know how to defend yourself against them. This doesn't mean that you will see polar bears every time that you go out, but there are incidents every year and this matter has to be taken seriously. We are sharing the same regions as them. There are specific areas that they use to transit, to live or to hunt, so the appropriate precautions have to be taken when you go to the field and the most important one is to always take a rifle with you. Cryoconite are a water filled cylindrical melt-holes that can be easily found on glacial ice surface. The size of these holes is variable but always in the range of centimetres. 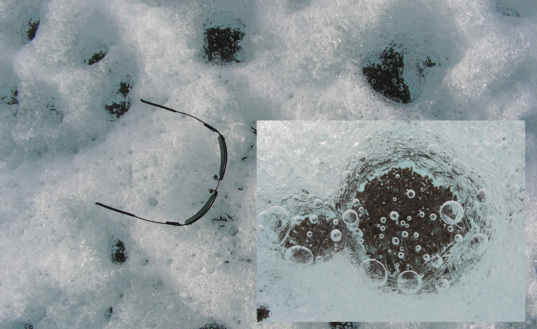 At bottom of the holes, there is dark material that absorbs solar radiation and promotes melting of the ice beneath it, forming these cylindrical holes. This cryoconites play an important role in the glacier ecosystems because many kinds of living organisms (algae, tardigrada, insects and ice worm) can found nutrients and thrive. One of the strong AMASE projects that combines fieldwork and laboratory is SLIce, led by Jennifer Eigenbrode, a very clever young scientist who is working for NASA Goddard Space Center. SLIce is a multidisciplinary investigation of organic signatures and habitats for life in near-surface glacial ice. Ice can be considered a cryogenic vault for preserving organic matter, because at such cold temperatures, hydrolysis and oxidation -- processes that degrade organic molecules -- are very retarded, so life can survive in the presence of impurities. Although there is life in Svalbard, there are blue-ice glacier areas where only extremophiles can thrive; they survive at very low temperatures with almost no water at all and obtain nutrients from mineral particles and chemical substances diluted in the ice. 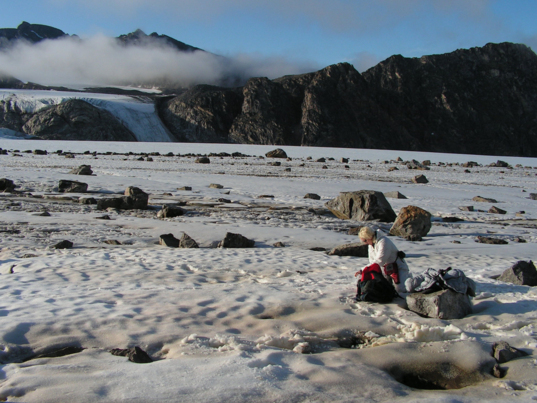 Liane Benning and Jennifer Eigenbrode obtaining core samples in Friedrichbreen glacier, near Bockfjorden. Studying these ice cores is a very interesting task, because they can be considered as Martian analogs. If there was/is life on Mars -- as we know it on Earth -- the living organisms could be located in the water-ice layers under the surface. By understanding how extremophiles live on Earth, we can use the information to try to find similar environments on Mars. Here's a simple example: ESA's ExoMars rover will include a drilling system that will be able to take samples up to a depth of 2 meters. When these samples are characterized, we will know the ambient conditions, mineralogy and chemistry of the Martian subsurface in specific areas. Depending on the nature of the drilling area we could say: 'This is the same environment in which Earth extremophiles can survive', information that will help really a lot in the search for life on Mars. This is what you are expected to do if you don't fly by helicopter to take the samples. The second way to get ice cores is to fly by helicopter, so you don't destroy your back and also enjoy a nice view of the landscape. We did that yesterday. What a difference! Flying over the glaciers and the mountains at low height is something that is difficult to delete from any mind. And I am sure the readers will agree that this option is more exciting and avoids tiredness. So during these days we are combining field trips with lab work in the Marinlab. So far we have obtained good samples in two different glaciers (Midre Lovenbreen and Friedrichbreen) and we plan to go to a third one in the next days. In all cases this is a task that has to be done carefully. All the samples must be taken avoiding any kind of biological contamination (in fact, contamination tests are done in-situ). After drilling the cores, we take them to the lab for melting, filtration and analyses: this includes many microbiological, chemical and mineralogical tests (analyses of nutrients available, DNA, ARN, medium and high resolution microscopy imaging, XRD, aqueous solution composition analyses, etc). 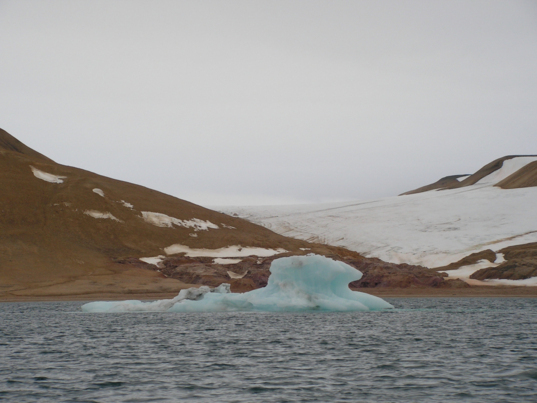 Apart from the ice cores, we take also environmental samples: running water, red and blue algae, cryoconites, etc. This two pictures show red and blue algae that survive in glacier ice that was taken in Friedrichbreen glacier. 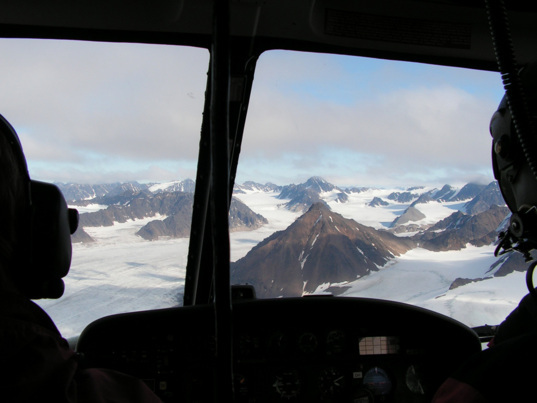 Tomorrow we will finish our lab work in Ny-Alesund and will travel by helicopter again to the Lance where we will continue our work and move to new and no less exciting research! Stay tuned! 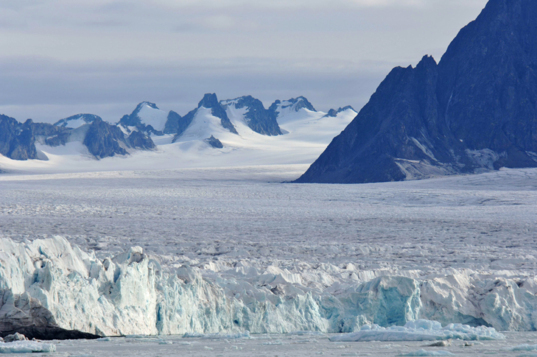 A panoramic picture of Friedrichbreen glacier, one of the three areas where ice cores are taken for the SLIce project. Driving a rover on Mars and obtaining useful scientific information is something you don't learn from one day to another. You need a lot of training and you need to be able to work with people who have different scientific backgrounds. One way to learn it is by carrying out the Science Operation Work Group (SOWG) during the AMASE expedition. The 2009 AMASE SOWG was a combined NASA/ESA effort aimed at learning how to prepare for running future missions that will search for life on Mars. Svalbard is one of the best Martian analogs of the world to carry out preparation activities for future mission to the planet Mars. Imagine that a rover has landed on Mars, like Spirit, Opportunity, or the future Mars Science Laboratory or ExoMars missions. The first pictures that the rover sent back show an area covered by small rocks and a couple of outcrops about ten metres away. This is, so far, the only information you have: you don't know what the chemical and mineralogical composition of these rocks are, or if the area could have harboured life. Your rover has several instruments that can give you plenty of information, but it is not so easy as that: the amount of energy is limited, you can drive a maximum distance of 100 metres each day, you cannot use different instruments at the same time, and some of them may take a long time, and/or a lot of energy, to obtain the measurements we need. Moreover, there are plenty of other possibilities: you can study the rocky material that is very close to the rover by using different analytical techniques, you can take high-resolution panoramic images with filters at different wavelengths, you can drive, select a rock, drill, or obtain microscopic images. But all these operations take time and cost energy. Your rover has limited mobility, navigational errors, limited bandwidth to connect with the Earth and not all the energy you would like it to. Moreover, you have quite limited time to choose what to do, because of the length of the Martian day and also the availability of the orbiters that are used to establish connection between the rover and the deep space tracking stations. Where would you drive? What are the interesting rocks to study? Is it better not to drive and use the energy instead to obtain high-resolution images? Should we drive only a little bit to get closer to the outcrop and use remote spectroscopic techniques to analyze specific rocks? What is the darker material near us? Are they outcrops, rocks with different composition or just shadows? This image is a composition of four pictures from the rover Navcams that were used for the SOWG mission scenario on AMASE 2009. So the main question is: what to do? The next missions that will be sent to the Red Planet (Mars Science Laboratory, ExoMars, Mars Sample Return) will be focused on the search for past or present life and the return of samples to Earth. That means that we need to find the appropriate samples that should give us the information we are looking for. Just as an example: if the samples we send back to the Earth are basalts coming from a volcanic site, the probability of obtaining data valuable for astrobiology may be lower. However, if we find carbonates or clay the possibilities of success are higher. So the task is easy to describe: find the appropriate sample! However the way of carrying out this task is pretty difficult. The group of scientists involved in these decisions have different backgrounds (geologists, physicists, biologists, engineers...) and they have to make the right decisions by consensus in a quite limited amount of time. This is exactly what we have been doing during the last two days on AMASE 2009. We are obviously not using information from the robotic explorers that are studying Mars at present. However, because Svalbard is the perfect terrestrial Martian analog on Earth, the Science Operation Work Group (SOWG) on AMASE can simulate a rover mission to Mars. So how do we do that? In a simpe way: one group of people is in the field obtaining the data (they are our rover) and another group is on the ship receiving it, discussing the possibilities and science questions/tasks we have set out to answer. All the people onboard ship are "blind" in the sense that they have not seen the actual site except via the "eyes" of the "rover". The SOWG group can not talk or connect with the people/rover in the field; they are only allowed to send them a file with the detailed instructions for the rover and that's it. 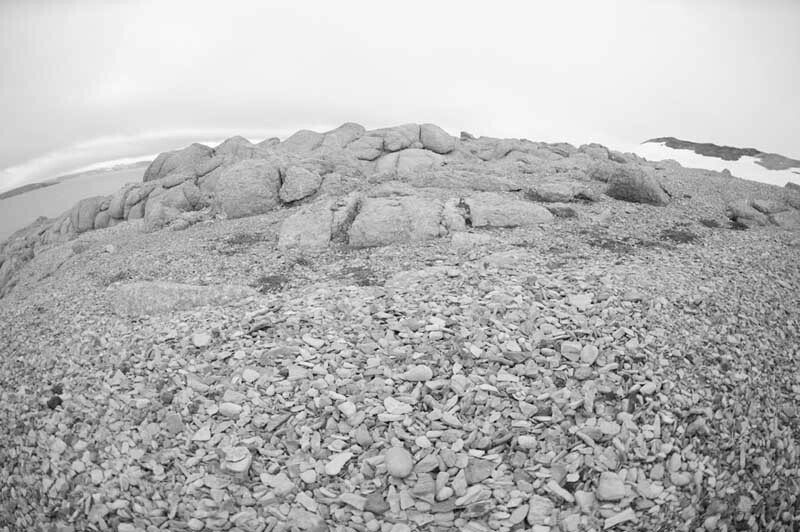 A portion of the outcrop seen by the EXOMars Pancam prototype, from a closer position after driving the rover several metres and before deciding what specific analytical objectives to choose. Every sequence of activities has to be fully planned in a couple of hours. If there is any delay we can not send the data to the rover (uplink), and thus we would miss the window of opportunity to communicate with the rover and thus we would potentially waste a lot of time (and that would mean lots of money wasted because the rover would do nothing for one day!). On the other hand, the transmission of data from Mars (downlink) sometimes can be problematic, because part of the data could not be received or the antennas at the Deep Space Network could be needed for other missions due to special requirements (another space probe enters in safe mode, there is another mission that needs more attention at a specific moment…). So at the end things have to be done effectively and reliably. This year the task we were set as the AMASE 2009 SOWG was related to a Mars Sample Return mission and the mission scenario was the following: "a successful landing took place in a large impact crater considered to have sedimentary deposits. During the first 100 sols (Martian days) the rover travelled through a mixed sedimentary scree considered to be primarily impact ejecta. Using orbital images, the mission scientist identified probable bedrocks, so the rover took all that time to travel there. Today, at the end of sol 99, the rover position was at only 50 metres of the outcrops and commanded to move to a distance of 10 metres from them". Our mission: to decide what areas to study, where to go and what analyses to do in order to take one sample of astrobiological interest to return to the Earth. The outcrops have been studied in detail and the SOWG team has selected a list of activities for the rover, indicating which are the most important ones. For this area we planned high-resolution microscopic images, infrared and Raman measurements, drilling cores for elemental analyses, etc. and coring for cashing for sample return. Knowing the mission scenario, we did as many uplinks and downlink cycles as we could, having a maximum time of two hours to prepare every uplink. The main task was to prepare a time-ordered sequence of activities, with all necessary documentation (annotated images of drive targets, remote sensing targets, etc.) and to interpret the data acquired by the rover. Carrying out the task is not so simple and there has to be a structure in the group: there is a SOWG chair (Doug Ming) that leads the SOWG team and has the final say on the activities if consensus cannot be reached. There were people responsible for the rover scientific instruments (cameras, spectrometers, different analysis systems, drilling tool, microscopic imager…). Finally all of us were distributed into three science theme groups that analyzed the data and prepared the activities requests for the full SOWG meeting: geomorphology, mineralogy and geochemistry, and life sciences. Steve Squyres was the mission manager, the single point of contact between the SOWG and the rover and also he was the responsible person to provide answers to questions regarding rover capabilities, resource utilization, etc. And there is some fun, of course! During the SOWG exercise we were quite comfortable in the meeting room of the Lance, the ship that we use for AMASE expeditions, but people in the field had an awful weather, with temperatures close to 0°C and lots of rain, waiting hours and hours for our instructions and keeping the instruments safe. It was very funny to see a couple of pictures from the Microscopic imager that showed a wet surface -- rain on Mars?! They also had to drill a small core in one of the rocks, a task that would have been pretty difficult for a rover because three people were needed for it as the rock was really hard. Also when the SOWG group were starting to focus on their work, Steve came and said: 'I am afraid that I have to give you bad news: the Cassini spacecraft has entered into safe mode and you will have to plan the next three sols in a couple of hours'... a task that was finished barely 30 seconds before the deadline. But probably the most surprising part of the SOWG is its end: after a long 12 hours and 5 sols all SOWG team members that have been discussing and making decisions about what the rover should do were taken out to visit the field to show them what the area of research looked like. The most surprising thing was the fact that from the perspective of the rover everything seems to be very different. Sometimes the team misses interesting objectives and focuses their attention in other things that are not so relevant for the Mars mission. Some other times they make mistakes misunderstanding the location or size of the rocks or the inclination of the terrain. However, these mistakes are part of the process of learning. But in a few years there will be people that will be working on the future NASA or ESA rover missions to Mars, so this learning process will be extremely important for the success of robotic space exploration. The Athena rover, also known as Athena, taking a picture using the Microscopic Imager located in its robotic arm. Pan Conrad (left) and Paulo Younse (right) observe how Athena takes a rock sample using its titanium scoops. Joseph Carsten operates the rover from his computer to collect a sample. One of the four cache boxes is ready for sample delivery. A sample is going to be delivered to the cache box. The panoramic cameras are located on the rover mast and one of the two Hazcams can be seen near to the rover solar panels. A soil sample is now inside the cache box. The rover is about to close it using its robotic arm. During the last decade of Martian exploration the research focus has primarily been on the search for past liquid water, using both orbiters (Mars Global Surveyor, Mars Odyssey, Mars Express and Mars Reconnaissance Orbiter) and landers (Mars Pathfinder, Mars Exploration Rovers and the Phoenix lander). Obviously no liquid water can be found today on the Red Planet because the pressure of the Martian atmosphere is too low to permit water to exist on its surface. But from all the information sent from these orbiters and landers we know that liquid water existed on Mars millions of years ago. The next rovers that will be sent to Mars will not look only for signs of liquid water. They also will have to accomplish a very complicated task: the search for past (or present) microbial life. Several very interesting candidate areas have been identified using orbiters that acquired spectroscopic signatures of carbonates and other minerals (clays, sulphates, etc.) that indicated that water must have been present during their formation. However, we don't know at all if microbial life developed in these regions or even if it could exist nowadays on the Red Planet. If we want to answer these questions we will need rovers that are able to drive long distances, analyze samples remotely and in situ, drill to take cores and, of course, obtain high-resolution pictures at different scales of the rocks, soils and sediments. One of the strongest topics of research on AMASE 2009 is the testing and integration of new instruments for future rover missions to the Red Planet like the Mars Science Laboratory (NASA), ExoMars (ESA) or the Mars Sample Return (NASA) missions. To accomplish this task, different researchers with diverse instruments are participating in the AMASE expedition. In this blog I will focus on the rover on AMASE 2009 and on a group of people from the Jet Propulsion Laboratory that have been working very hard in Svalbard, one of the best Martian analogs of the world, together with the AMASE team to accomplish the science goals. The name of the rover is Athena. This vehicle, which has been tested during the last years in other areas, has a similar design to the Mars Exploration Rovers. 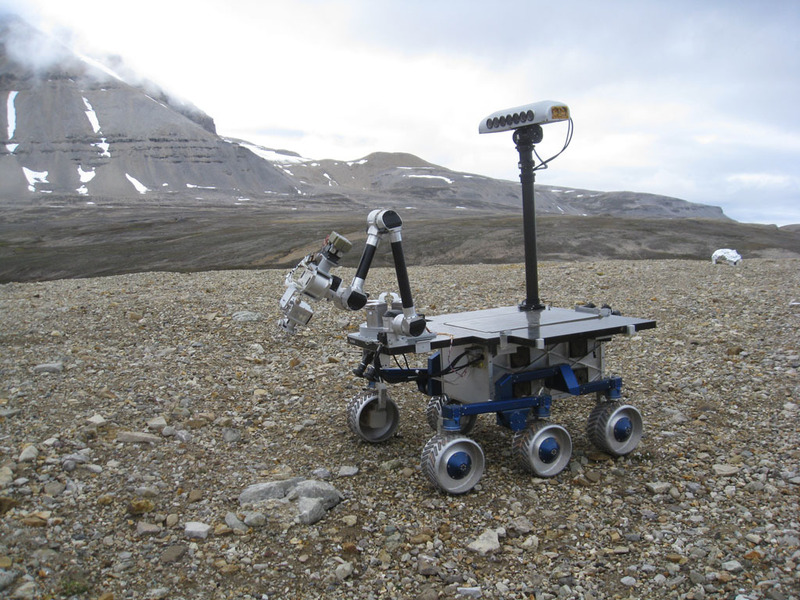 For AMASE 2009, various tests and activities have been performed in Ny-Alesund and the Bockfjorden areas where basalts, carbonates and clays are present, which are all good analogues of possible Martian landing sites that future rovers will explore. This work has been carried out by Paulo Younse (Mechanical Engineer), Mike Garrett (Electrical Engineer), Joseph Carsten (Software Engineer) and Pan Conrad (Team Leader), all of them from JPL and also supported by a large group of the AMASE 2009 science team. 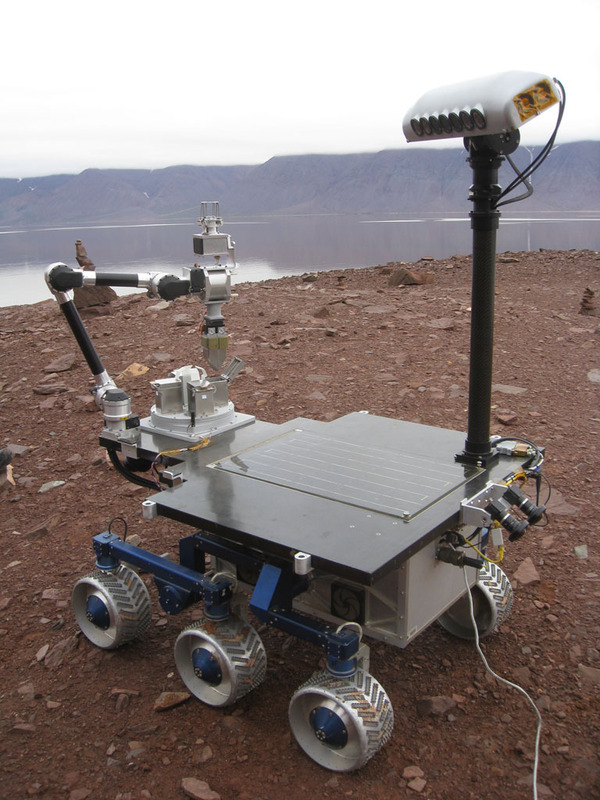 The rover operates with batteries to perform all her tasks. This year, Athena conducted sample acquisition and caching experiments. 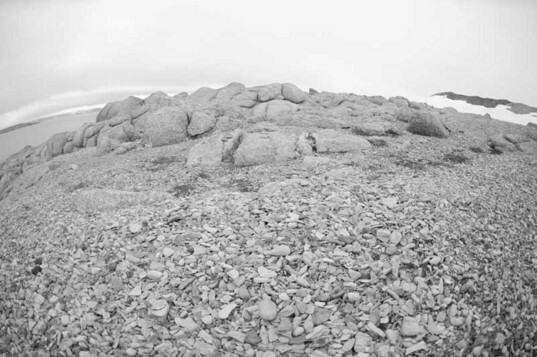 Athena used two sets of Hazcams (one in the front and another one in the back), navigational and panoramic cameras (with no filters this time, just to obtain BW images) and a robotic arm that includes a Microscopic Imager and a device to connect a set of four single-use titanium scoops to take samples of soil or rocks. The rover also has carousel of four cache boxes to keep the samples and thus test possible scenarios for Mars Sample Return. All these tests with Athena as an advanced mobility platform during the 2009 AMASE expedition were especially important because it is essential to test and develop technology that will eventually fly in future Mars missions. The next decade of Martian exploration is going to be very interesting but also very challenging, as the objectives that we are trying to achieve have profound implications towards our vision of life in the Universe. Developing and testing the appropriate tools to accomplish these objectives will be an obligatory prerequisite if we want to drive the road of success. Iceberg made of blue ice floating in Wahlenbergfjorden. The darker areas are sediments trapped in ice. We need to approach the iceberg carefully for inspection and to be completely sure that it is safe before we take samples. Sedimentary material trapped inside an iceberg. This is an extraordinary example, as most icebergs are not so "dirty" as this one. 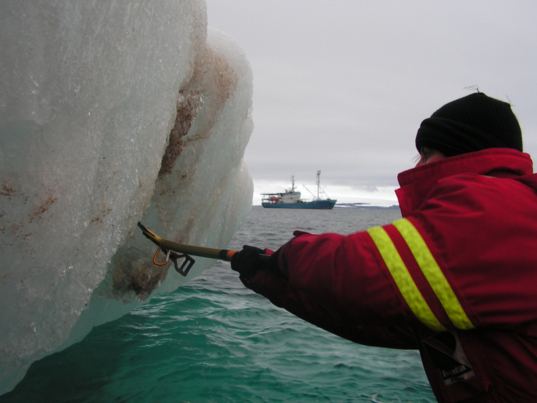 Taking samples from the iceberg with an ice hammer. Our ship, the Lance, can be seen on the background. 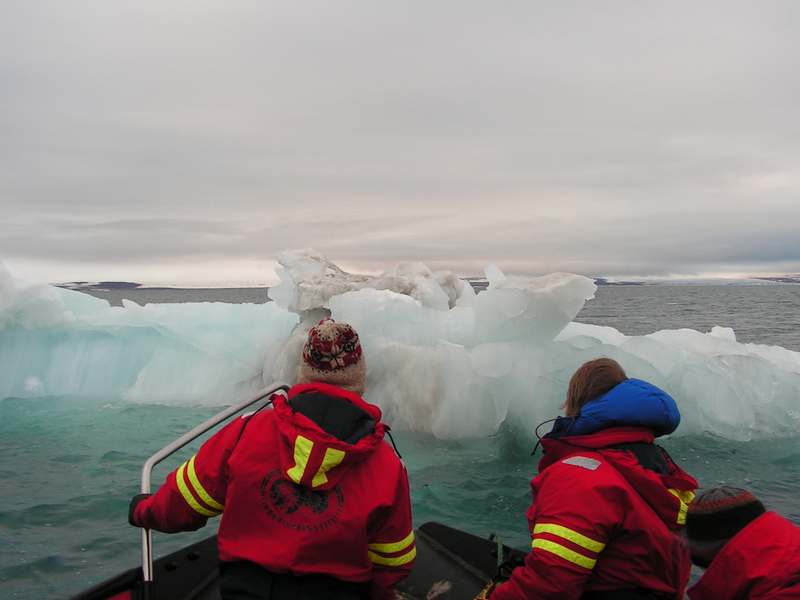 One of the "fun science" activities we have carried out during AMASE 2009 is "iceberg chasing". Naturally this was all for a good scientific reason as we were interested in acquiring sediments trapped in calved icebergs for further characterization. Being in the arctic and around massive ice caps and glaciers it is no surprise that during the time we have been based on Lance we have seen tens of icebergs per day. Some of them are mostly made of blue ice but they sometimes also have layers of sediments and these are the interesting ones! Blue ice occurs when the snow that fell on a glacier is compressed as a consequence of burying by more recent deposits of ice. This compression leads to the recrystallization of the ice crystals and thus they increase in size, permitting the light to travel slightly longer distances through it. As the light travels through the ice it is scattered, increasing the probabilities of absorption of both the red and yellow wavelengths, but not absorbing light at the blue end of the visible light spectrum. That is the reason the ice from glaciers is blue. Therefore, when we see an iceberg that is made of blue ice, we know that it comes from an iceberg calved from a glacier and it is not a recently frozen layer of sea ice. And that is our objective! Why are we interested in blue-ice icebergs? In fact we are not interested in the ice itself: what we want to obtain is the sedimentary material that is trapped inside the ice that has calved from the massive glaciers. During the formation of a glacier, sediments are trapped in the ice and there they may remain over thousands of years. However, if the glaciers reach the ocean and calve icebergs these icebergs may contain trapped sediments. 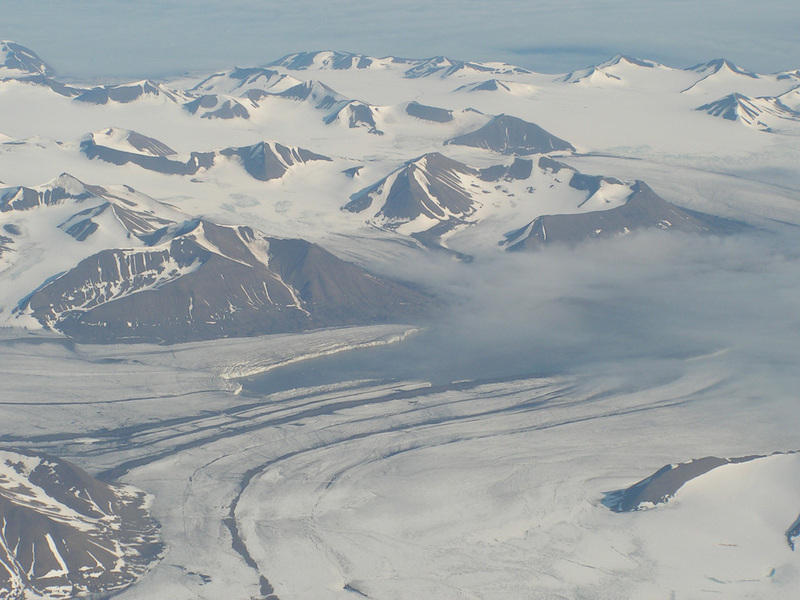 The amount of sediment in ice that is delivered to the oceans by glaciers can be as high as 1,500 tons per year. However, the most interesting point is the fact that within these sediments there are mineral nutrients that are extremely important to support biological activity and that during entrapment the sediments may transform and react despite the cold temperatures. In terms of mineralogical changes we are looking for phases that affect the iron cycle. So the task we have this year is: find a relatively newly calved iceberg, evaluate if it is safe to approach, find an interesting and safely reachable area with sediments, take samples, melt the ice and separate the sediments and than back in the lab study the sediments with different techniques (high resolution microscopy, X-ray diffraction, infrared spectroscopy, etc) with the specific question about the iron minerals. However, the reader will wonder why we do not just go onto a glacier and take the samples directly instead of chasing icebergs. In theory that may be better, but in the real world it is quite difficult, because we need blue glacier ice not located on or near the surface of the glacier or subglacial ice that could in some cases be collected from glaciers that end in a moraine and not calve into the ocean. In a previous blog entry I described the SLIce project which is also part AMASE 2009, and where we retrieved ice cores from the surface layers of glaciers and to a maximum depth of 1-2 metres; those cores are more than enough to study the extremophiles that thrive in surficial glacial ice as well as the -- mostly few -- sedimentary particles that these micro-organisms use to obtain nutrients. However, if we would aim to extract ice from bigger depths the task would be technologically much more complex. Luckily, glaciers that calve into the sea do most of the work for us and thus when sediments from deeper areas are needed, it is better to take them directly from icebergs, because the material that is interesting for us is exposed but still trapped inside the ice. How do we chase icebergs? Very, very carefully! As usual on AMASE, safety is the first rule. 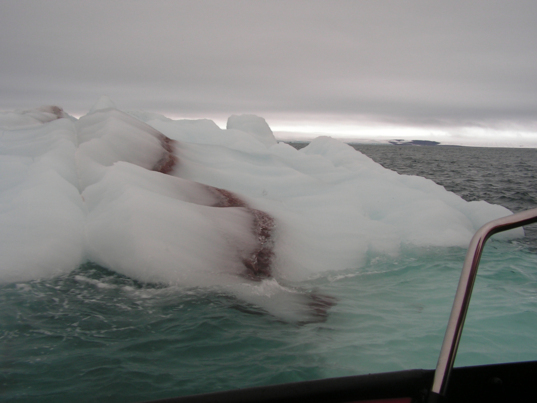 Although seemingly a simple task, approaching and sampling floating icebergs can be risky. Depending on the size and shape of an iceberg, even the smallest amount of pressure on it surface could lead to an iceberg to rotate or to flip upside down. Naturally, if this would happen when we approach an iceberg aboard a zodiac boat, that would not be safe. Because 90% of the iceberg's mass is under the water, its real size and shape is not easily known, so we have to approach any iceberg carefully and evaluate whether we can safely obtain samples or not. If we see dirty blue ice, that means that there could be sediments waiting for us. So if the iceberg sampling is considered safe, the person that will take the samples will use an ice axe and a bag to catch the chipped of sections with sediments and ice. 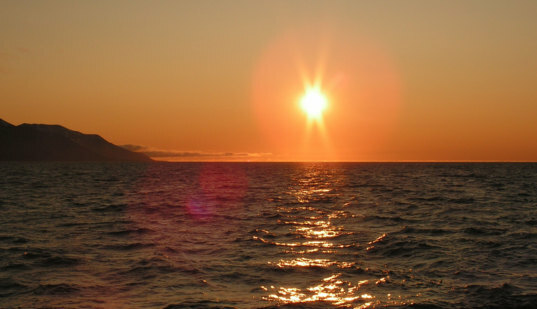 The "sampler" is secured by at least two people on the zodiac, and the sampling takes less than five minutes per iceberg. This year three iceberg chasing trips have been carried out successfully, obtaining a total of samples from different icebergs. 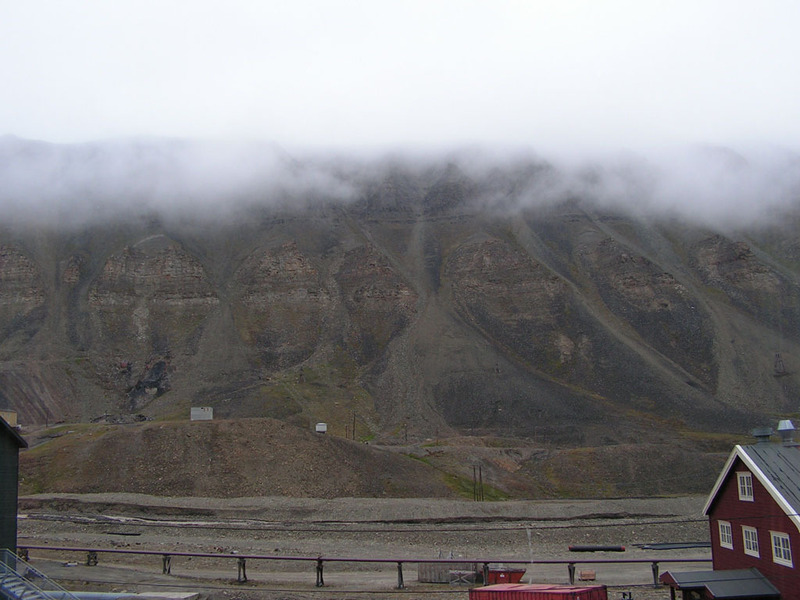 These samples will be returned to the University of Leeds, where they will be studied further with the aim to provide novel information about the contribution of glacially-derived iron-rich sediments to the iron-budget of the arctic ocean and their link to bioproductivity in the current ocean and also with respect to the Last Glacial Maximum (LGM). The samples collected this year will be compared and contrasted with other iceberg samples that have been collected during previous years in Antarctica and the Southern Ocean. The next robotic Mars exploration missions that will fly to the Red Planet will focus on the search for life. Both the Mars Science Laboratory (NASA) and ExoMars (ESA) have this primary objective, so they will need scientific tools to accomplish this task. Analyzing rocks and soils to determine their elemental and mineralogical composition, including possible organic molecules, will be a priority. One of the analytical techniques that are being tested during AMASE 2009 is a Raman spectrometer. Two researchers are involved in an interesting project that will be very important both for expanding the capabilities of the next missions to Mars and also for the detection of signatures of life on the Red Planet. Fernando Rull is the principal investigator of a contact Raman spectrometer for ExoMars and Antonio Sansano is working with Rull on his PhD thesis. Both are from the University of Valladolid, Spain. They are developing two Raman spectrometers that will obtain really valuable information about the chemical and mineralogical composition of the Martian rocks. Fernando Rull and Antonio Sansano studying rock samples on the ship with the contact Raman instrument (left). A detail of the contact Raman instrument (right). Raman spectroscopy is a process in which a monochromatic source (usually a laser) illuminates a sample, and this radiation is scattered by the matter in the sample. Most of the scattered radiation has the same wavelength as the incident radiation, but there is a very tiny fraction (about a billionth of the light) that will be scattered with different wavelengths. This is usually referred to as "secondary radiation" and was discovered by Sir Chandrasekhara Venkata Raman (1888-1970), whose work won him the Nobel Prize in Physics in 1930. Why is the "secondary radiation" so interesting? Because it can give us plenty of data about the atomic-molecular vibrations of matter that we are illuminating with the laser light, enabling us to obtain structural and compositional information, as well as physical-chemical characteristics of solid, liquid or gaseous samples. Furthermore, one of the great advantages of Raman spectroscopy is that we only have to illuminate our sample with a laser, so, if the power of the laser is not too high, it is a non-destructive technique and the sample needs no prior preparation at all. 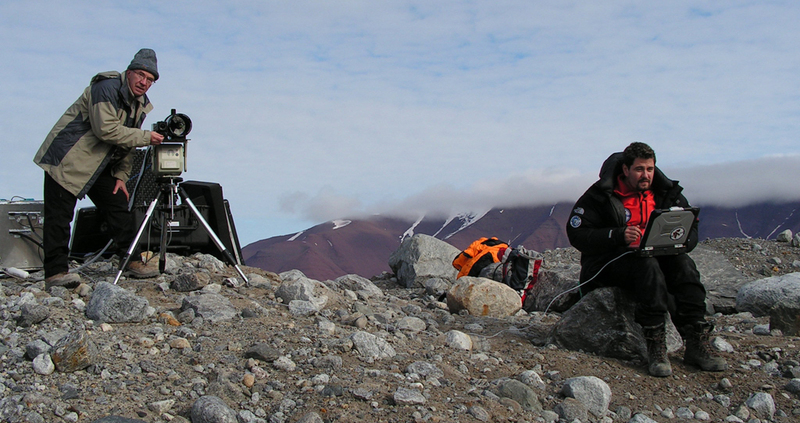 Fernando and Antonio preparing the remote Raman system in order to take measurements of blue glacier ice. One of the field trips during AMASE 2009. 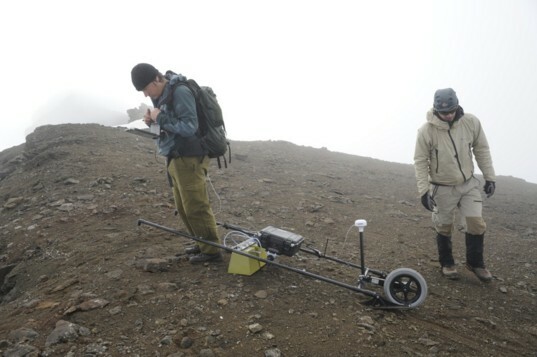 While the group on the top is taking microbiological samples, Fernando and Antonio are obtaining measurements of glacier ice using the remote Raman system. 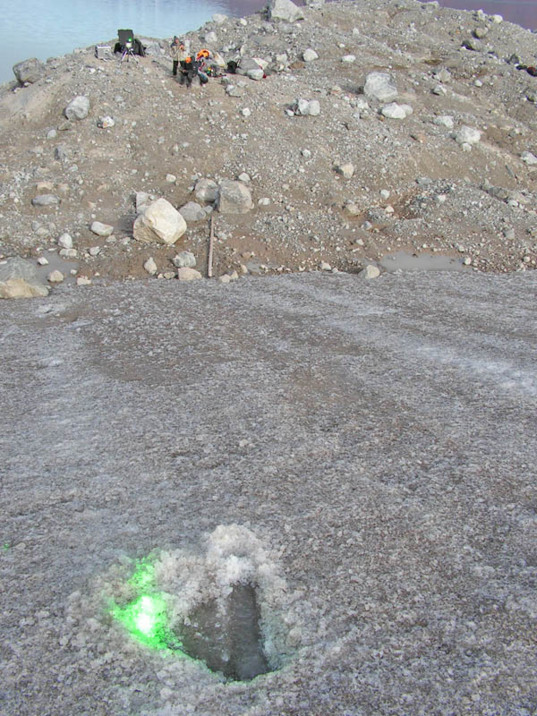 The green laser is being targeted to study an ice section. The distance from the instrument to the target is about 100 metres. 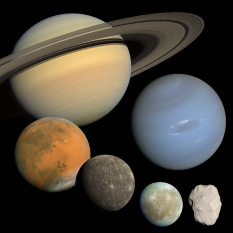 Considering the modern developments in spectrometry and optical fibre technology, as well as in miniaturization techniques for both spectrometers and detectors, it is not strange that Raman spectrometers could be really useful for planetary research missions. Although there were plans to include a Raman spectrometer aboard the Mars Exploration Rover missions, the devices were unfortunately discarded because of mass constraints for both probes. So the next mission that will include the first Raman spectrometer on Mars will be the ExoMars rover (ESA, 2019), that will acquire samples up to a maximum depth of 2 metres using a corer. These samples will be ground and transferred into small cache boxes located on a carousel below various scientific instruments. The Raman spectrometer and an infrared microscope will be the first instruments that will study the solid samples. However, the Spanish team is not only developing this ExoMars contact Raman. They are working also on another project that is even more thrilling and that was also tested during AMASE 2009: a remote Raman spectrometer which, coupled to an optical telescope, makes it possible to measure samples located at a distance from 8 to 130 metres away, yet this spectrometer has the same precision as the contact Raman spectrometer. The potential of studying rocks and sediments from afar with an instrument like this would significantly expand the capabilities of a Martian rover or lander, because the combination of panoramic and high resolution cameras with Raman spectrometry would allow analytical information without moving the rover to the sampling areas to be obtained. This would save lots of energy and time. Although this technology is not yet miniaturized it has potential for future Mars sample return missions where this technology could be essential when time/distance, etc. constraints are very tight. During AMASE 2009, both Rull and Sansano have analysed many different rock types that were part of several AMASE research tasks, they have participated in the AMASE 2009 SOWG (Science Operations Working Group) simulation of Mars rover missions, and have shot a laser at a blue glacier ice from far away with the remote Raman, in order to evaluate the maximum distance from which ice -- a very abundant compound in several planetary bodies -- can be quantitatively analysed. Field trips: How to select a suitable spot for testing instruments in a Martian analogue environment. How can we be sure that instruments that will be sent on future Martian missions will work properly? How do we know that they will obtain accurate and precise measurements? How will we be able to compare the data to what we have seen on our planet? The answer is easy: by testing, testing, and again testing them during field trips on Earth. This has been one of the most important goals of AMASE 2009. Amy McAdam and Paul Mahaffy (behind) working with the Sample Analysis at Mars (SAM) instrument. Sample Analysis at Mars (SAM): A great instrument capable of giving us tons of information about organics in a Martian environment. SAM is an integrated suite consisting of a gas chromatograph mass spectrometer and a tunable laser spectrometer that will fly aboard NASA's Mars Science Laboratory mission in 2011. SAM can carry out mineral and atmospheric analyses, detecting a wide range of organic compounds as well as obtaining stable isotope analyses of organics and noble gases. To achieve this SAM will use powdered rock samples that are heated from ambient temperature to 1000 degrees Celsius (1830 Fahrenheit) in a helium stream, while the evolved gases are continuously analyzed by a mass spectrometer. Paul Mahaffy, the principal investigator of SAM, works at NASA's Goddard Space Flight Center. This year he has used SAM to study carbonate samples from the Sverrefjell volcano and has focussed on macromolecular carbon associated with magnetite in the carbonate globules found in an ice cave formed after the eruption of the volcano into glacial ice. This material is similar to those carbonates in the Martian meteorite ALH84001. Previous AMASE research has shown that the carbonates on Svalbard -- excellent analogues for ALH84001 -- formed abiotically. These studies carried out with SAM have been very useful in better understanding the ability and limitations of this in-situ instrument to distinguish biomarkers. Doug Ming and David Blake, working with the data obtained with the CheMin instrument (orange suitcase in the foreground). CheMin: There are two common tools that geologists use when they need to obtain analytical and mineralogical composition of solid samples. The first one is X-ray diffraction (XRD), a non-destructive powerful technique that can give us qualitative and quantitative information about the mineralogy of a rock with just a small amount of sample, less than one gram of material. Although there are different variations of XRD, the most useful method for geologists is powder X-ray diffraction, which uses a powdered solid to identify the minerals present in the sample and obtain its mineralogical composition and structural characteristics, as well as data about crystallinity. Another important analytical technique is X-ray Fluorescence (XRF), the emission of fluorescent X-rays from a sample due to excitation with high-energy X-rays. By using this technique elemental and chemical analysis can be performed, both from minerals or non-crystalline samples. Both XRD and XRF are necessary to obtain data about the composition of the Martian rocks and soils, as they can give us information about the past habitability of the Martian environment where the rocks were formed. Although conventional XRD and XRF instruments have the size of a couple of washing machines, the fabulous work of David Blake (NASA AMES Research Center) has lead to the development of a combined XRD and XRF instrument (CheMin) that has the size of a small suitcase and that is capable of doing the same tasks at the highest resolution. 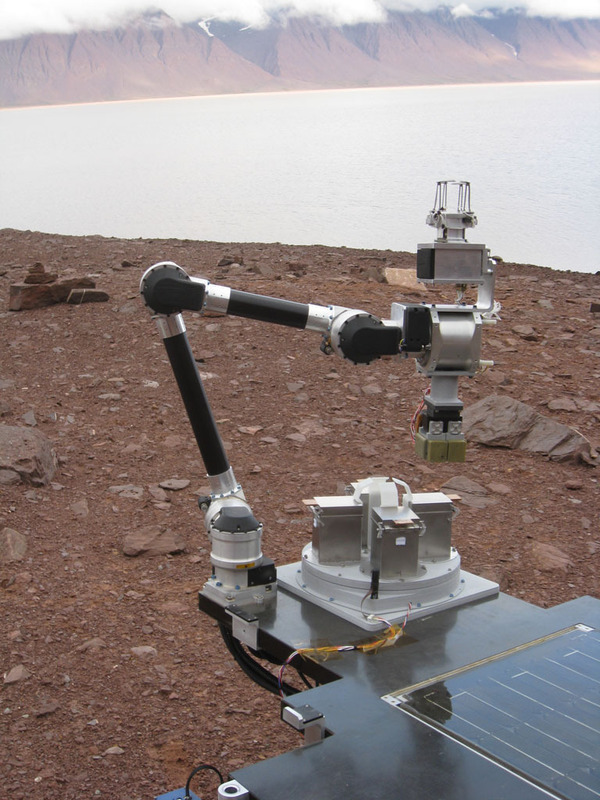 All samples obtained during AMASE 2009 expedition have been analyzed with CheMin, another state of the art instrument that will fly aboard NASA's Mars Science Laboratory mission. Nicole Schmitz, Arnold Bauer and Clare Cousins working with the ExoMars PanCam. The PanCam instrument prototype from the ExoMars instrument suite. PanCam: An important suite of instruments that will fly on the ExoMars mission is a Panoramic Camera system that is being developed by the Institute of Planetary Research (German Aerospace Center; the principal investigator is Nicole Schmitz). 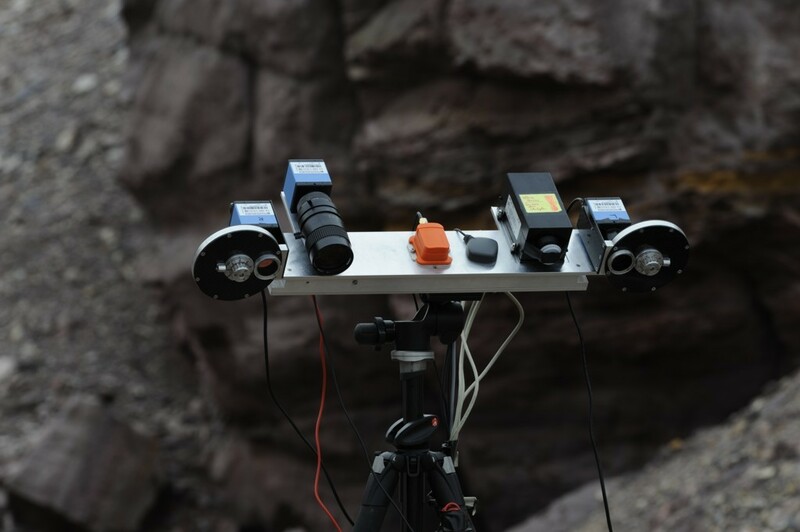 Many tests have been carried out during AMASE 2009, taking the PanCam to different outcrops in diverse geological environments and combining the observations with other instruments (SAM, CheMin, Raman, infrared...). This instrument includes two wide angle cameras (WAC) and a high resolution camera (HRC). The WAC has a 34-by-27-degree field of view and includes six filters for colour stereo imaging, three for colour single shot imaging, and twelve geological filters for multispectral imaging (wavelengths from 440 to 1000 nm). Complementary to this, the HRC has a -square-degree field of view (almost eight times higher resolution than the WAC) and three RGB colour filters. It goes without saying that PanCam imaging is crucial to performing observations and initial characterization of any Martian environment. This instrument can obtain multispectral geological imaging, colour and stereo panoramic images, water vapour abundance, and dust optical depth measurements, to name just a few of its fantastic capabilities. Finally, PanCam will not just be useful for remote observations but will also be crucial for observing and classifying retrieved subsurface samples before they are sent to the analytical suite for future analyses by the rest of the instruments. 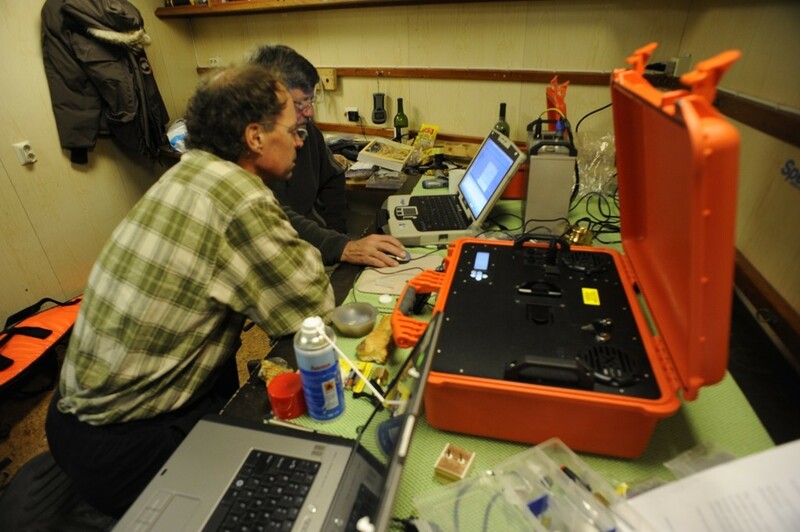 Mats Jørgen Øyan and Ivar Midtkandal studying the subsurface with the Wisdom radar. WISDOM: will permit ExoMars to look at the Red Planet with different eyes. It is being developed by the Forsvarets Forskningsinstitutt (Norway, by principal investigator Svein-Eric Hamran) and consists of a ground penetrating radar that is able to reveal a detailed view of the near subsurface of the landing area. This is really useful when we want to search for water ice deposits or study the sedimentary rocks and understand the local stratigraphy. WISDOM operates in the UHF frequency range from about 0.5 to 3 GHz. It is a shallow sounding system but it gives high resolution data, from depths of a few metres to a depth of 80 metres. It consists of two antennas that are used at the same time for the transmission of pulses and reception of the reflected signals. The transmitted electromagnetic waves are reflected by discontinuities in the subsurface. The information from this instrument will permit an early interpretation of the materials acquired with the drilling system at up to 2 metres' depth. 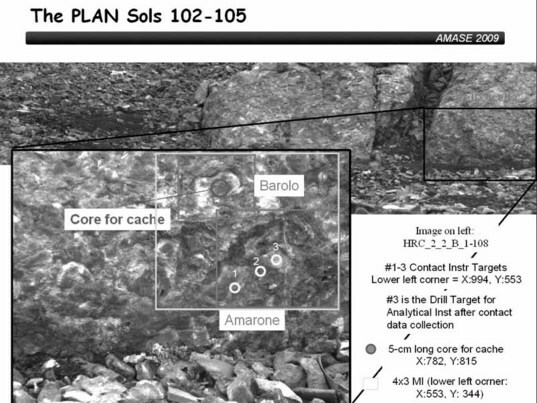 All the areas that were visited during AMASE 2009 expedition for sample characterization and instrument testing have been also studied with WISDOM. 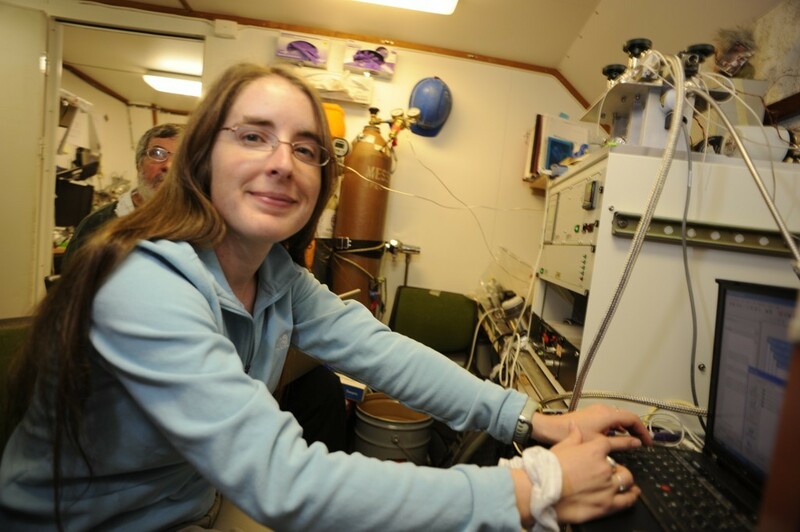 Liane G. Benning measures samples using the FTIR instrument. Fourier Transform Infrared spectrometer (FTIR): Infrared measurements will be really useful to characterize Martian rocks and sediments and ExoMars has on its payload a micro-infrared imager (MicrOmega). MicrOmega was not part of the AMASE 2009 payload, but a portable FTIR was tested in conjunction with the other instruments. Infrared spectra give valuable information about solid (crystalline or amorphous) or liquid, inorganic or organic compounds based on the different vibration modes of the chemical bonds. Mid-infrared is especially useful for identifying organic molecules. 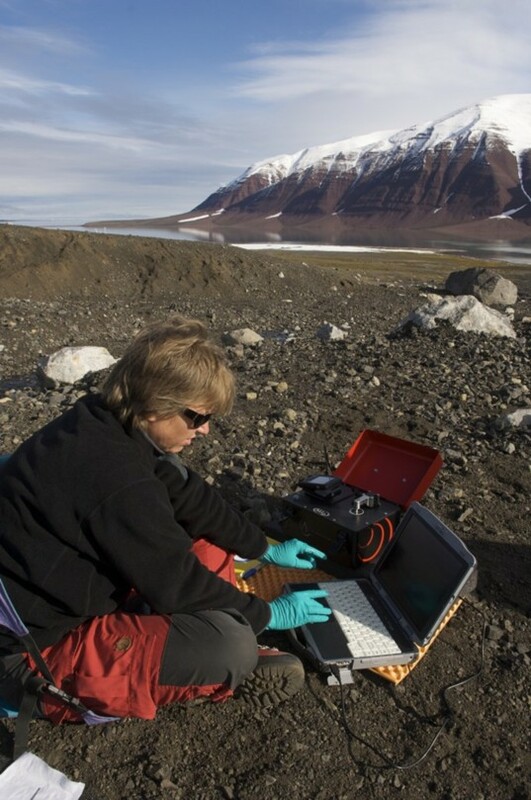 During AMASE 2009, a portable FTIR system (University of Leeds, A2 Technologies, PI Liane G Benning) was used in the field -- and during the SOWG, see previous blog entries -- as an important characterization and distinguishing tool. This FTIR was operated by myself (School of Earth and Environment, University of Leeds) and it provided crucial chemical information that, combined with other instruments -- Raman, Chemin or SAM -- showed us a global mineralogical and (bio)chemical picture, including the possible presence of organics. The combination of all these instruments that will be part of future payloads on missions to Mars will give us the appropriate information to carry out the search for past or present life on Mars. Such instruments will be also crucial in preparation for any future Mars Sample Return (MSR) mission, one of the most challenging technological enterprises in a medium-term future. If we consider a Mars sample return mission scenario, one of the most difficult tasks will be the selection of less than one kilogram of rock or soil samples to return to our planet. How will we know where to go, what samples to choose, or where are the really interesting materials that can tell us information about present or past habitability on Mars? And how will we manage if we need to obtain the samples "as soon as possible" (in a time frame of days or weeks)? All of the instruments that we tested, if they are onboard the MSR mission, will provide first guidance for the most appropriate samples. In concert with each other, these instruments represent a miniaturized version of a terrestrial laboratory that researchers use for their daily work. Naturally for any MSR selection the scientists on Earth will depend on them to decide what actions to take. For that reason, the reliability and accuracy of instruments like the PanCam, SAM, CheMin, WISDOM, Raman or FTIR will be decisive for the success of the next missions to the Red Planet. Searching for Martian Life...on Earth. And Farewell, Svalbard! Imagine the following mission scenario: we have been able to send a Mars Sample Return mission to the Red Planet. A rover has characterized the landing site with many remote and contact instruments and has acquired a sample that has been successfully sent back to Earth. This sample, less than half a kilogram of material, could have potentially harboured life in the past on another planet. How do we study this sample in order to search for life? How to search for life and how to know where it comes from! During the AMASE 2009 expedition, many samples from different areas have been obtained and characterized with different instruments to obtain chemical and mineralogical information, but naturally as we prepare for future "Search for Life" NASA and ESA missions, a crucial goal is also to test for "life" -- the biology is also one of our primary tasks. Most of the samples that were collected on AMASE come from a harsh environment where only extremophiles can thrive. Sometimes we are not even sure whether life could subsist there. Is it possible to find living organisms in high-pressure blue ice, two meters deep, where little liquid water can be found and the only nutrients are small rock particles and some diluted chemicals in the ice? Is it possible for life to survive inside rocks better under extreme cold, dry and high-UV conditions? And if so, how do organisms adapt to and survive such conditions? These are the same questions that we will ask ourselves when we send the next generation of rovers to Mars. Adrienne Kish taking pictures of extremophiles extracted from the glacier blue ice cores using a fluorescence microscope on board our research vessel. Cleanliness is the first concern when we taking samples for biological research. 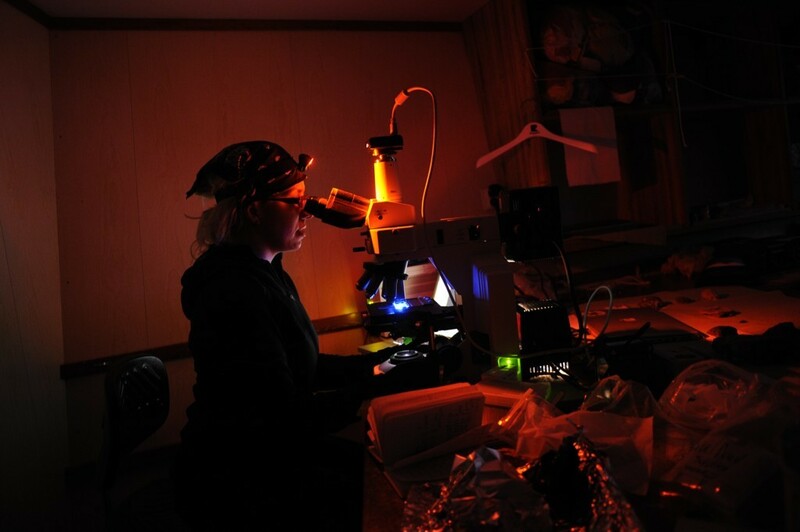 This picture shows Adrienne Kish (part of the SLIce team) keeping some samples during one of the field trips. To assess the diversity of the microbial community structure in an arctic ecosystem our Bio-group, composed of Verena Starke, Mihaela Glamoclija, and Adrienne Kish from the Carnegie Institution of Washington, have worked with different techniques and protocols. These include (1) standard genetic techniques to identify and characterize microbial populations (Polymerase Chain Reaction, PCR); (2) handheld life detection instruments, such as an ATP luminometer, which acts as an assay for overall metabolic activity; (3) a microchip-based Limulus Amebocyte Lysate (LAL) assay that detects gram negative bacterial cell wall materials (living or dead); and (4) fluorescence microscopy to study stained cells. All samples, whether rocks, ice, or biofilms, were tested for DNA. If DNA was found, it wase amplified using the PCR approach. Importantly, the analyses were performed in the field using mostly general, but also gene-specific primers that indicate differences in overall community composition and activity among different sample types. By characterizing organisms and their habitats, they were able to pinpoint relevant biosignatures and complement measurements acquired by the other instrument teams. When successful, biosignature correlations strengthen interpretations and may be particularly valuable in the search for life on Mars. For example, we have observed organics that play an important role in the development of life in areas where we would not expect to find them and living organisms (extremophiles) that survive in exceptionally harsh conditions. At the same time, this sort of research can raise a very basic but critical question: how do we know that we are not contaminating the areas we are studying with our own organics and microorganisms? How will we avoid contaminating Mars with Earth life when we send a space probe there? The most embarrassing and uncomfortable mission scenario we can imagine is detecting life on Mars that actually survived the trip from Earth to the Red Planet. Preventing this is referred to as "forward planetary protection." It is really complicated, but crucial, and it has been addressed on AMASE since the expeditions began in 2003. The efforts and multiple tests carried out in the last three to four years have been the basis for the development of a field-based cleaning protocol for sampling devices and tools. 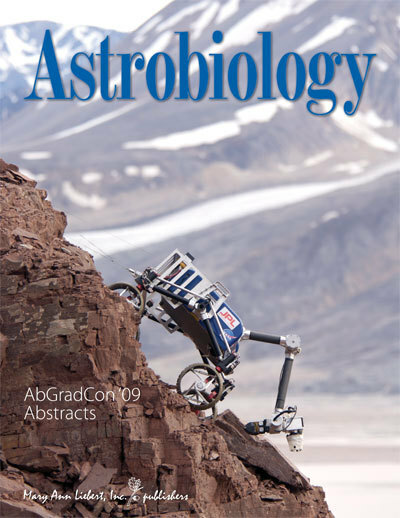 This work has been recently published in the July 2009 issue of the journal Astrobiology. Once this research study was completed and the protocol validated, all instruments and sampling devices that we use for biological research on AMASE are strictly cleaned following this procedure. AMASE 2009 was not an easy expedition to organize. It involved many scientists with different backgrounds who needed to transport tons of equipment, keep strict timetables, deal with logistics, schedules, accommodation, etc. AMASE 2009 was successful because everybody did their best, both individually and also as a group, but also because there were people that worked really hard to make it happen. We don't need to specify their names as we all know who they are and they know that we really appreciate their efforts. 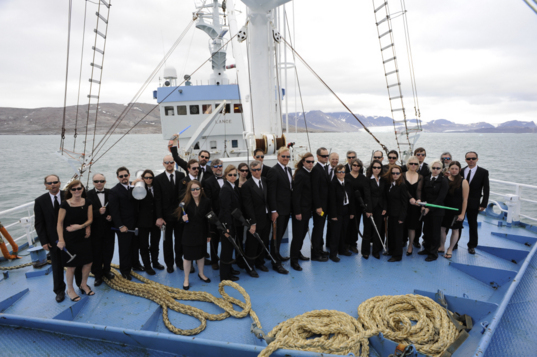 They used their personal time to put everything together, doing a great job in creating a really good working environment and making people feel comfortable and confident both in the success of their individual research tasks but also with "life" in an unusual environment like the Arctic. And they did well. AMASE 2009 could not have been better: people, science, and impressive and unforgettable landscapes. The official photograph from AMASE 2009. Since 2003 AMASE has introduced a tradition: every year all participants have to dress as 'Men in Black' and for the official pictures. One of the pictures this year has been taken aboard the Lance, our ship, close to Ny-Alesund during the last day of the expedition. Now, more than a month after the expedition is over, the science continues. Analysis of the data obtained in Svalbard is on course. Further sample characterization in the various labs is going on furiously. The results are slowly but surely being obtained, abstracts are being sent to different scientific conferences, and papers are being written. But our minds and hearts are still in Svalbard, which is not only a link with science, but a so beautiful and impressive landscape that we will never forget. The mountains and glaciers, the cold wind, the midnight Sun, the icebergs, the volcanic areas, the silence, the fog over the glacier valleys, the strangeness of a place that sometimes seems to have been taken from another world… all is magical and "AMASEing." After finishing this great expedition there is no day I don't wonder how the landscape looks like today, how the weather is in Wahlenbergfjorden or in Bockfjorden, how far could we see from the top of Sverrefjellet volcano or how the landscape looks like in the glaciers near Ny-Alesund, now that the days are getting shorter. Svalbard will be in my mind for the rest of my life. I should be grateful. And I am. Svalbard is a strange place. Some landscapes seems to be otherworldly and images may have been taken from Mars, but there are also glaciers full of cracks, crevasses and fractures that make you feel that you have landed on Europa (Jupiter's moon)...and when you fly by helicopter through the thick fog it seem to be that you are flying over Titan. 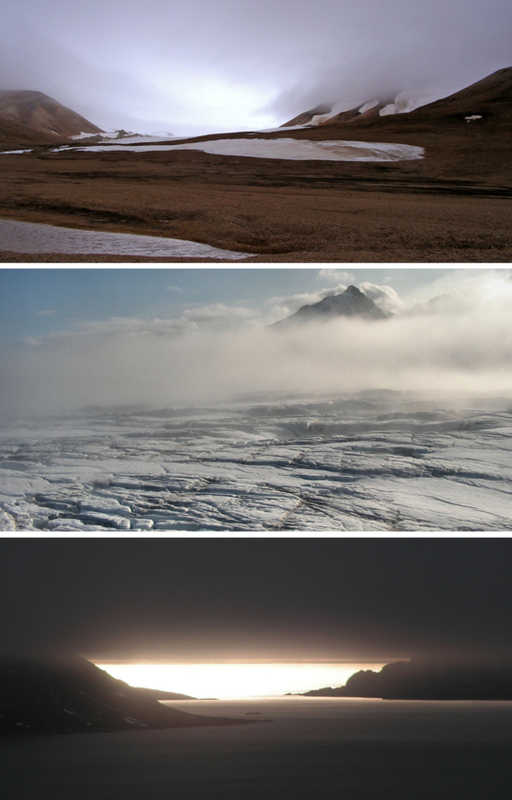 From top to bottom: Mars, Europa and Titan in Svalbard.